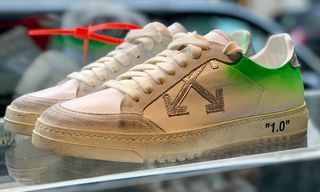 If you thought the Balenciaga Triple S was the height of strange fashion sneakers, think again. 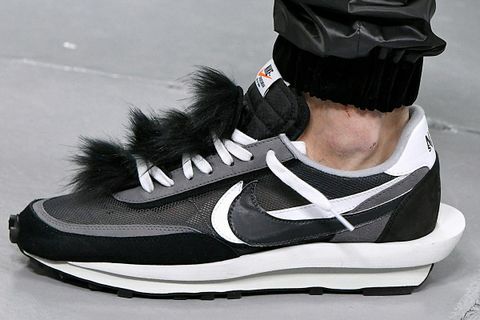 Sneakers at fashion week have been getting weirder and weirder, and in Paris last week things only got more bizarre. Capital “F” fashion is avant-garde and conceptual by nature, especially when you push into the world of couture. 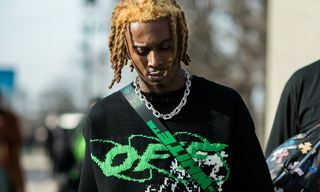 As the most important stop on the fashion week circuit, the City of Lights is the place for designers to display their latest creations — and if you’re not raising the bar, don’t even show up. Anti-beauty aesthetics are now the status quo. 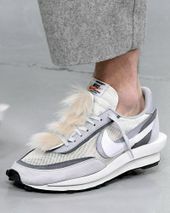 The trend has become so prominent that last year we asked professional design critics, “What is ugly, exactly?” Traditional ideas of beauty are being rejected in favor of obtuse and opinion-splitting shapes, and for FW19, certain designers continued to push that idea to the limit. 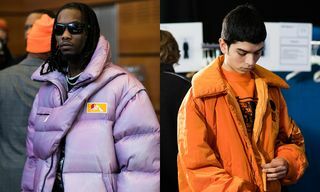 UNDERCOVER and sacai are two Japanese labels that certainly didn’t shy away from experimental footwear designs this season. From the mind of streetwear legend Jun Takahashi, UNDERCOVER delivered one of the most otherworldly boots we’ve ever seen. 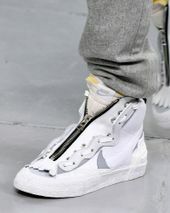 As one astute Highsnobiety commenter pointed out, the grotesque kicks literally look like something Halo‘s Master Chief would wear, right down to the color scheme and strange tubes protruding from the collar. 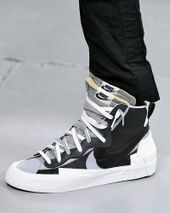 sacai designer Chitose Abe, meanwhile, reimagined the iconic Nike Blazer as if it were a record scratch in shoe form. You weren’t seeing double — the shoe really does have two Swooshes, two tongues, two pairs of laces, and twice-wrapped foxing on the midsole. On the similarly doubled-up LDV Waffle Daybreak, Abe added a colorway akin to a tropical bird’s plumage to make an already bizarre creation even more worthy of a double take. 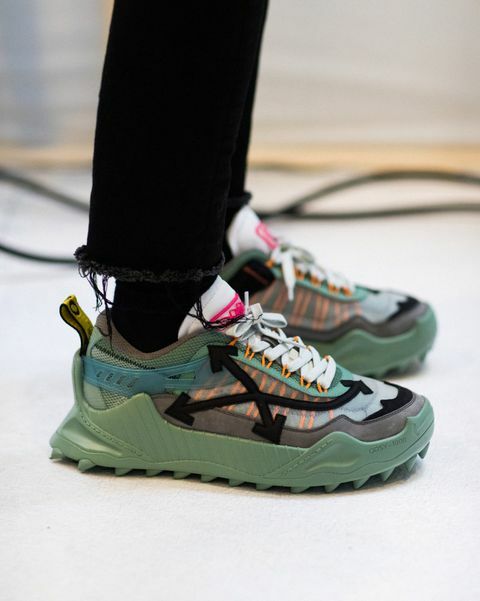 Elsewhere, OFF-WHITE also debuted its ODSY-1000 sneaker, featuring a hiking aesthetic taken from an utterly confusing bricolage of materials and panels. 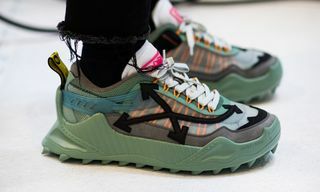 There’s a lot going on here, with designer Virgil Abloh starting out with trekking references and a trail-inspired sole unit before adding completely over-the-top detailing. 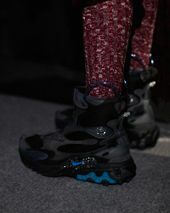 Supplementing its chunky and slightly bizarre Sofiane and Manhattan sneakers, Acne Studios also served up a few weird kicks, including a platform hiking boot that adds to the trend for exaggerated proportions and overstated aesthetics. 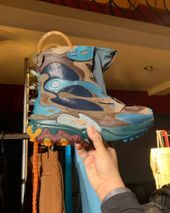 Staying upmarket, Prada debuted an evolution of its Cloudbust silhouette in the shape of the Cloudbust Thunder, which features a technical, futuristic upper riding on a new platform sole. 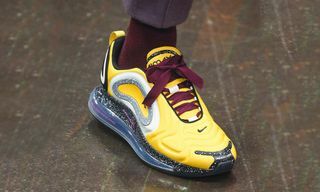 Sneakerheads have a longstanding affinity with the adjective “clean,” a word that increasingly has no place in describing contemporary sneaker trends. The original Nike Blazer is clean, but sacai’s version is anything but. Designers like Abe and Takahashi are effectively creating foils for classic sportswear designs, taking legacy models and giving us reason anew to discuss them. Every few years, a new pop culture phenomenon comes along and shakes things up, shocking a few people along the way. 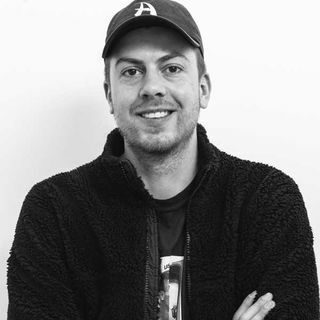 As design critic Stephen Bayley told Highsnobiety last year, “40 years ago, people were shocked by Paco Rabanne. 80 years ago, they were shocked by Chanel.” Now it’s the new wave of unorthodox footwear that’s subverting our expectations.